Place the water and honey in a medium saucepan, bring to the boil. Add the sliced clementines and gently simmer for 30 minutes. Drain, and carefully place each slice onto your prepared baking tray. Allow to cool, then use to decorate Clementine Cake or other sweat treats. 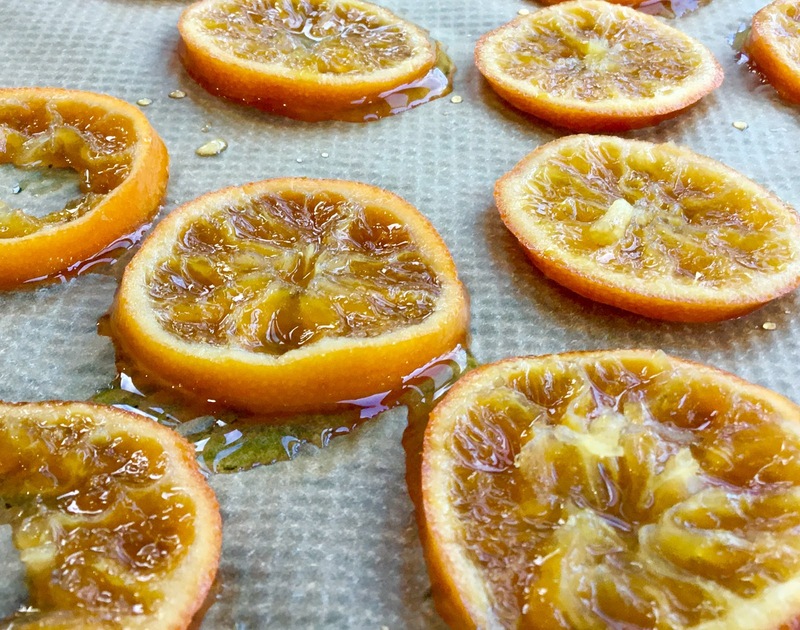 If your clementines are very soggy you can place the baking tray with the clementine slices on, into a low oven for 30 minutes at 150°C / 170°F / Gas 3.